I’m sure I have a little ‘splainin’ to do, regarding the mags on the ’40 stake truck. Not a whole lot going on, around here, with the pre-48 stuff. I’ve been spending time with my “late model”, the ’54 F100, taking care of fixing stuff that I’ve put off. I’ve finally got gauge lights, a functional Borg Warner overdrive unit, but I’ve still got a driveline vibration at highway speeds. 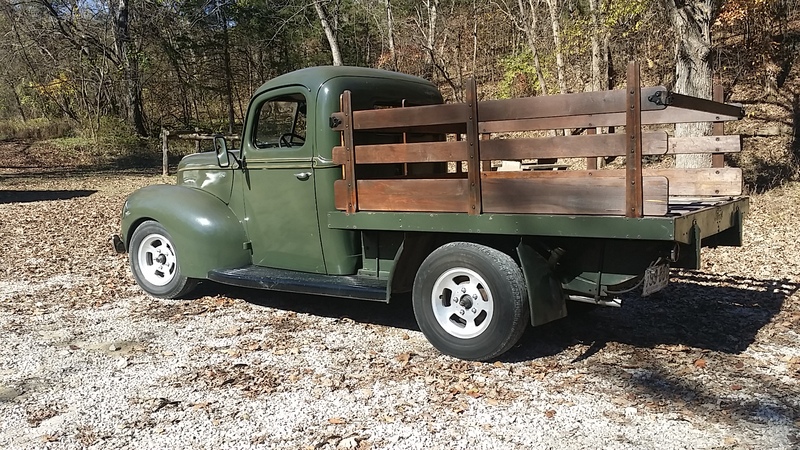 I decided that the easiest (cheapest) way to see if I had wheels/tires that were out of balance was to swap the wheels with the ones on the ’40 stake truck, since I know that they roll smooth. Unfortunately, that didn’t fix the problem, which I believe will only be fixed once I swap the spring bushings and pins, but that’s a job I’m not ready to tackle yet. That will come when there’s money in the bank that I can spend on a dropped front axle. 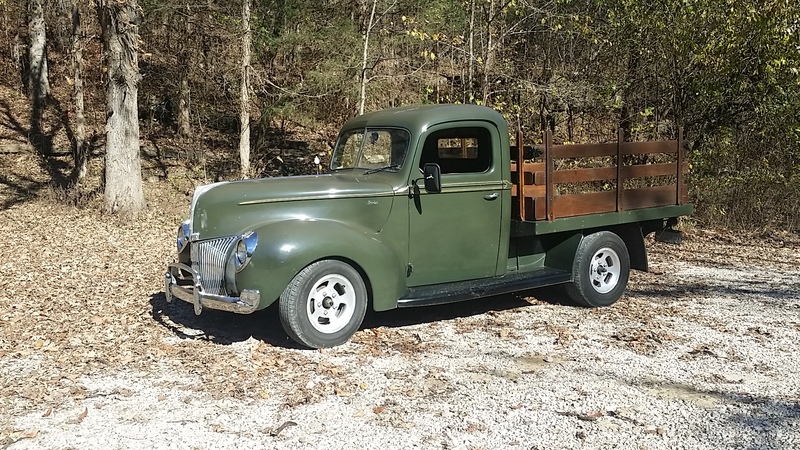 So…while I have the steelies under the ’54, I needed to put something back onto the stake truck. Definitely gives the truck an early 70’s vibe! The 235/75/15’s take up MUCH less space than the set of 235/85/16’s! Anyway…that’s about all that’s going on here. 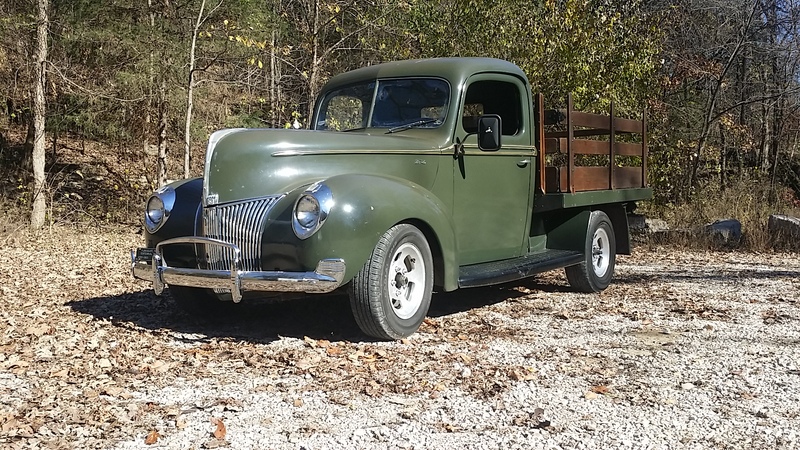 I need to get the ’40 stake truck back to the house and get it cleaned up for the 2015 Hot Rod Holiday car show, coming up in December.